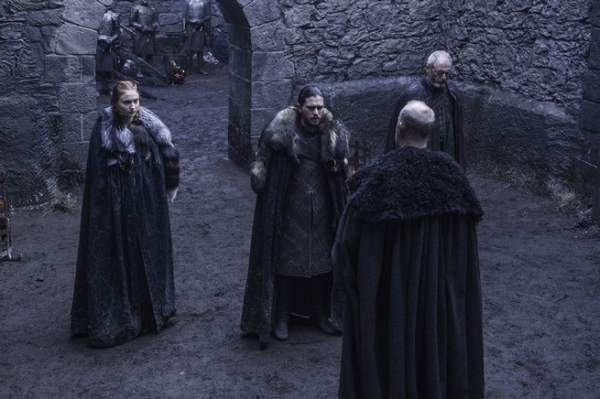 Till date, the ep 5 of s6 is the only one which was leaked and properly found online on the internet. For this, the only organization responsible for the mistake was the network itself. HBO Nordic had accidently released it on the web more than 24 hours earlier. However, the condition was worse in the history. The first four episodes of season 5 leaked ahead of the season 5 launch. The reason behind it was believed it to have happened from the previous copies. After it, the network stopped issuing screeners to the press. Moreover, the titles for the episodes 8, 9, and ten have already been leaked. Some information can be extracted based on the titles itself. They have been titled as “No One”, “The Battle of the Bastards”, and “The Winds of Winter”. As seen from the trailer, we are expecting that Jon Snow will get an army of Wildings soon as they were seen praising him and helping him as he is looking for help. It can also be judged by the stills or photos released earlier. Below is the official synopsis released by HBO. We are expecting Ian McShane to debut in this episode. As per the information available, McShane will play a character composite of Septon Meribald and the religious ascetic known as the Elder Brother. Moreover, Bronn will also be seen very soon and played by Jerome Flynn. Bronn hasn’t been since his journey to Dorne with Jaime Lannister in the last season. He will again appear Jaime to retake Riverrun from Brynden “the Blackfish” Tully. A set of photos has been published on the internet which shows Bronn and Jaime, Arya in Braavos, and Jon Snow and Sansa Stark traveling in the North. Game of Thrones is based on the bestselling fantasy book series by George RR Martin. It is an epic drama of struggle for power in a vast and violent kingdom. Game of Throne season 6 episode 7 (GOT S6E07) airs on HBO at 9 pm ET in the US and on Sky Sports at 2 am BST in the UK. Stay tuned to The Reporter Times for latest GameofThrones news and updates. Don’t forget to share it on the social media.